Crockpot Pineapple BBQ Pork Chops, They're Simple & SO SATISFYING! When it comes to anything sweet and savory, this Crockpot Pineapple BBQ Pork Chops recipe is a bonafide legend. 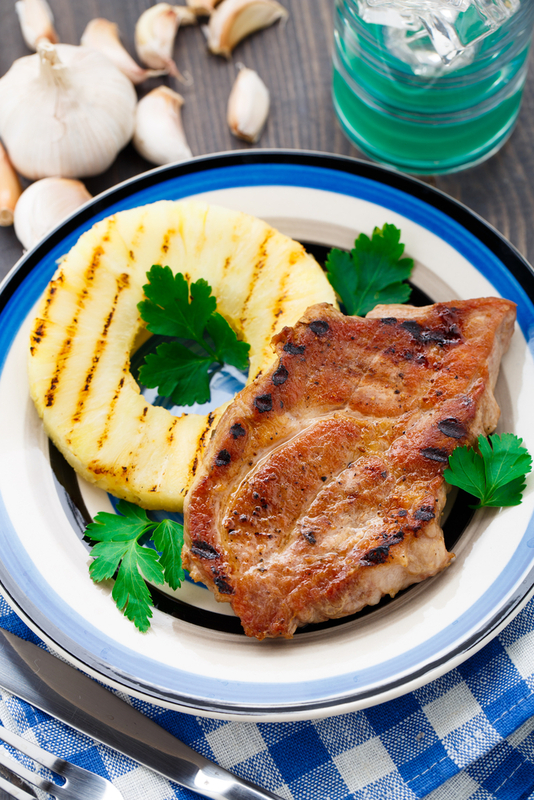 The tangy, flavorful barbecue sauce and sweet, juicy pineapples turn ordinary pork chops into the EXTRAORDINARY. You will LOVE how easy this is to make, but you’ll love the way it tastes even more. Crockpot Pineapple BBQ Pork Chops are so yummy that even kids will be begging for more! This recipe is so simple and satisfying that you’ll want to make it more than once a week, qualifying it as the ultimate family-friendly meal. The pork chops turn out so tender and flavorful from all that slow cooking. However, my favorite part about this recipe is that you simply drop it all the ingredients, and let your beloved crockpot do ALL the work! Spoon the sauce over the pork chops, and enjoy!